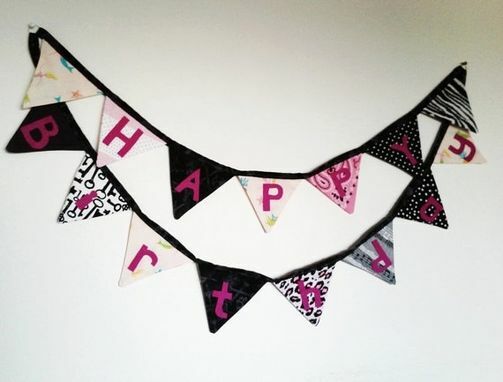 Custom fabric "Happy Birthday" bunting. 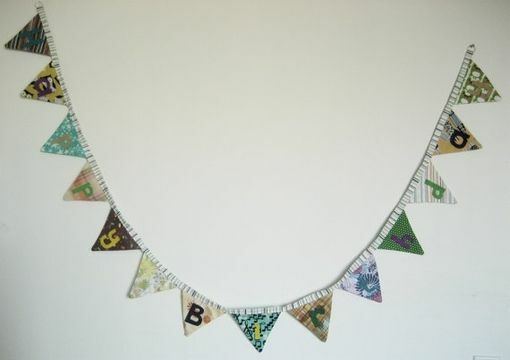 Customize a cloth banner just for you- please let me know the colors and/or theme of your party. 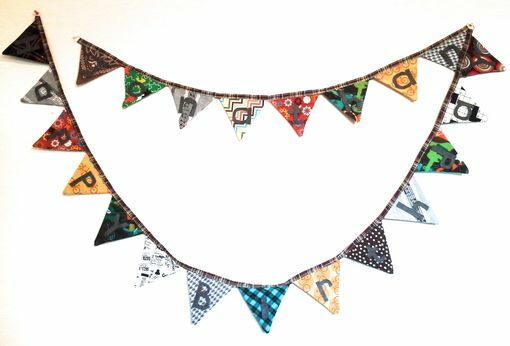 I will incorporate vintage and new fabrics to make you a one of a kind design, the letters will be hand cut from eco friendly felt. 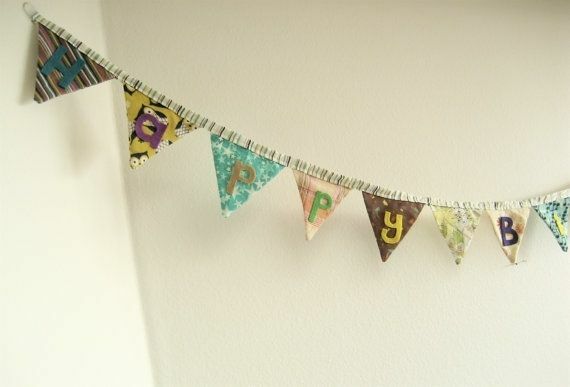 Letters can be all one color or multi-color. 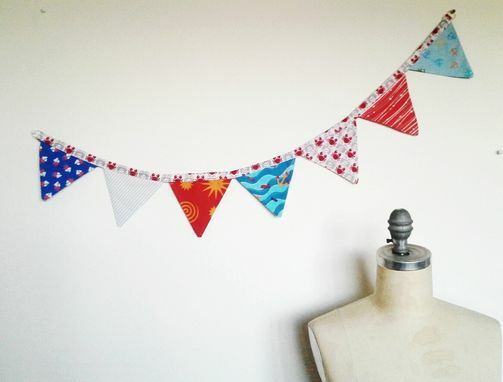 Length measures about 81 inches total, each triangle is doubled sided and measures approximately 4.5 inches long and almost 5 inches wide at the top. Metal rings on each end allow for easy hanging. $35 for basic Happy Birthday, $50 if you'd like to add a name too. Please allow 4 to 6 days for construction, plus shipping time.